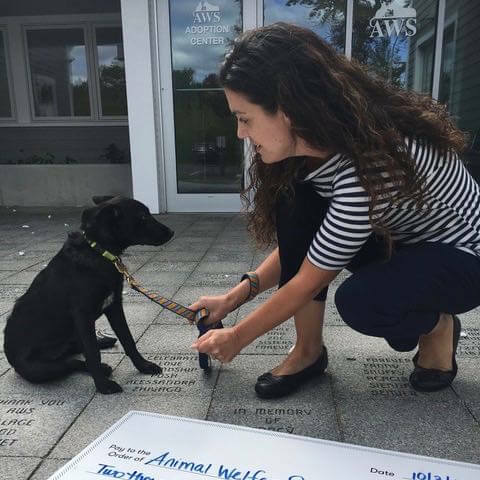 The Elmina B. Sewall Foundation supports work in Maine improving the well-being of people, animals and the environment. Elmina B. Sewall was a founding member of the Animal Welfare Society and major benefactor of the organization, stewarding the growth of the shelter throughout her life. This year, the Elmina B. Sewall Foundation has dedicated funding to support the Cleo Fund and the general operations of AWS. The Belvedere Animal Welfare Fund supports organizations and programs that address population control for cats and dogs. The AWS/Cleo Fund is supported through the Belvedere Fund to continue its state-wide efforts of facilitating spay/neuter surgeries through mobile clinics. The May HTR Foundation exists to provide financial support to shelters, rescue groups, other organizations and individuals who share a love of animals and are working to make their lives better. Elizabeth May has had an assortment of pets, volunteered at shelters and been involved in the humane treatment and rescue of domestic animals practically since she was able to walk. This year, the May HTR Foundation has dedicated fund to offset co-pays for clients of the Community Veterinary Clinic who are unable to afford our already reduces fees for service. The Laura J. Niles Foundation encourages initiatives that foster life enrichment through canine and other types of animal companionship. With regard to animals, most notably dogs, the foundation’s areas of concentration center around canine health research, animal protection & adoption, search & rescue training, human assistance and similar fields of interest. This year the Laura J. Niles Foundation is supporting the remodel of canine housing areas and kennel upgrades. Your returnable bottles and cans can be contributed to our Clynk account simply by collecting them in Clynk bags and using AWS tags when you drop the bags off at any Clynk recycling station (at Hannaford grocery stores). We have bags and tags available to pick up in our adoption center lobby. You can help our animals EVERY TIME you shop at Amazon. Be sure to log in via smile.amazon.com and select the Animal Welfare Society as your preferred charity. We will receive a small percentage (0.05%) of all qualifying purchases as a donation from the Amazon Smile Foundation. Calling all cat lovers! Do you use Fresh Step? They have a rewards program where you can donate points from your cat litter boxes to your favorite shelter. We use the points to get litter or coupons, depending on our needs at the time! Fresh Step is introducing its new Paw Points Rewards app, which makes it easy to donate directly to AWS. The app is free, fun and cat approved. You can download the app from the Apple App Store or Google Play. We are pleased to partner with tuft + paw to offer a discount to customers looking for modern cat furniture. Customers receive a 5% discount with an additional 10% of the purchase price coming to AWS.